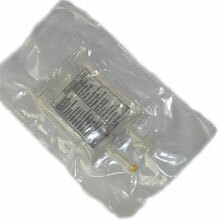 Other components: water for injection. 100, 250, 500, 1000 ml of solution in plastic PVC containers. Extracellular dehydration of various genesis: diarrhea, vomiting, fistulas, drainages, intestinal impassability; primary replacement of plasma at bleeding and burns. Iono-Tech is administered intravenously with a calibrated infusion device at a slow, controlled rate up to 500 ml/day with rate 70 drop/min or 210 ml/hour for 70 kg/mass of preparation. Edemic syndrome, hypertonic dehydration, expressed infringement of function of kidneys. Before use warm up to +35-+37 oC. To keep in a dry place protected from light at temperature not higher than 25 o C. Expiary date - 2 years.